I think that culture and power can be different but similar and can impact my teaching also in similar but different ways. Culture can be very powerful to an individual or a group and can provide one with much power to move forward or to stay upright on their feet. Power can also be the force that takes away culture from individuals for reasons that are intentional and hurtful or for reasons that are unintentional but still hurtful. As teachers, we have the power to empower students with the ability to embrace their culture and to help them learn and understand other cultures. By using this power as a teacher for good, I think it will create power within the student, class, and community and create a new culture of understanding and compassion. Power can be used for good and bad reasons and there is not enough power being used for good. I hope to build a culture in my classroom that embraces other cultures which will create a powerful wave that carries others that may be stranded, to shore. Determination: To break through the barriers and deterrents to achieve a goal or a desired outcome. – I believe that all teachers must have determination in order to strive for 110 percent within themselves and in their students. Influence: To change the outcome or pathway of something or someone. – Mr. Fred Rogers said that “The most important people in a child’s life are that child’s parents and teachers. That means parents and teachers are the most important people in the world.” Teachers and parents have a huge influence on a child for the rest of their lives! The direction that students are pointed at an early age will shape their journey in a big way. Uncomfortable: To feel out of place, or uneasy. To be unsettled or bothered. – I believe that teachers must put themselves in an uncomfortable situation for the benefit of the students. There are times that a teacher may feel comfortable with a situation in regards to a sensitive topic dealing with race, culture, gender or other topics. When the teacher is comfortable, there may be a student that is falling between the cracks. There may be a student that is not heard or understood. As a teacher, we must be uncomfortable on put ourselves in front of the firing squad. After all, a teacher is one of the most important people in the world. 3. In the coming year and years, I plan on looking at my class as a color wheel. With the primary colors, one can create any color of the rainbow and can find its compliment or balance color(s). Understanding that there are students or all colors and backgrounds, I will try to bring together resources from the class, school, and community that will help us mix and add the colors that we have to create new colors that we may never have known existed. I will try my best to include a wide range of experiences, exercises, and lessons that bring in more than I know. I know that I do not know everything and we all need help to see the full rainbow of cultures and knowledge. I will also show to students that asking questions and being humble is a valuable method to understanding the unknown. To know and understand your neighbor is to first step to understanding the world. I will try my best to include a wide range of experiences, exercises, and lessons that bring in more than I know. I know that I do not know everything and we all need help to see the full rainbow of cultures and knowledge. I will also show to students that asking questions and being humble is a valuable method to understanding the unknown. To know and understand your neighbor is to first step to understanding the world. To understand the world, one must understand oneself. To understand oneself, one must look to others. I agree with your Mister Rogers quote. 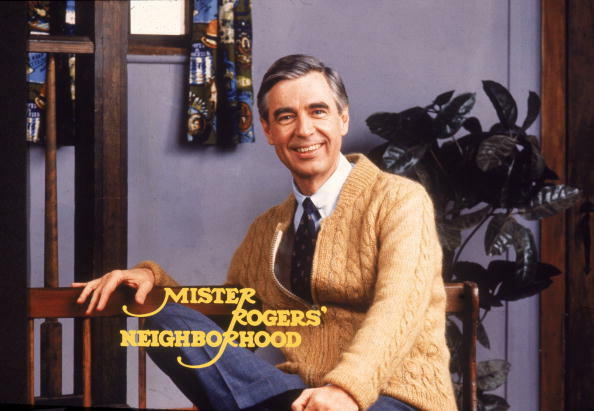 I have actually been revisiting the Neighborhood on Amazon Video over the last year or so. He was such a gentle and wise man, and I think we, as teachers, can learn much from watching those old episodes, even though we’re in Secondary Education! Another word that keeps coming up over and over in our posts is the word “empowerment.” Students must feel that they have a stake in their own education. We can’t simply expect our students to be excellent note takers. They must feel that their intelligence is respected and wanted in the classroom. Fred Rogers greatly respected children. While his audience was aimed at preschoolers, maybe 3-6 years old, the values he exemplified are worth emulating by us all. I’m glad I’m not alone in my admiration of Mister Rogers! As Kathy encouraged us to use children’s literature in our lessons, I want to incorporate lessons I’ve learned from the Neighborhood and Land of Make-Believe! Brilliant!